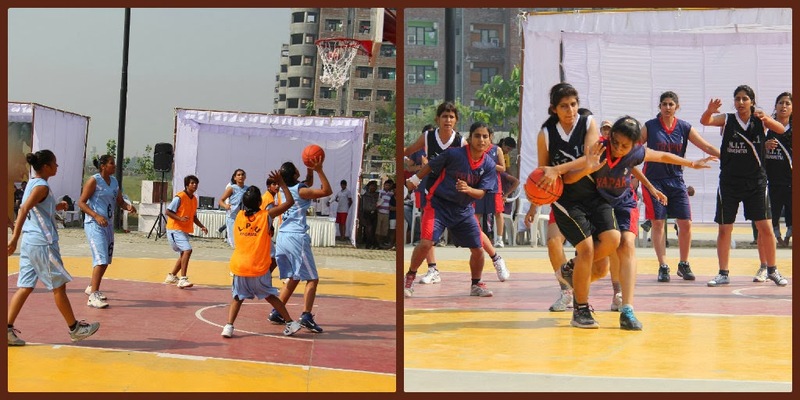 Jalandhar: Association of Indian Universities' North Zone Inter-university Basketball (Women) Championship-2013 was inaugurated today at the sports arena of the host Lovely Professional University. Around 500 players, coaches & officials of 33 Universities from across the zone are participating. 17 international and A-Class Referees from the Punjab Basketball Association are engaged for judgment. Started from 20th October, 35 general and league matches will be played up to 23rd October, 2013, to declare the zonal champion. On the Inaugural Day 13 matches were played on two courts from 4 Pools of the teams. Tomorrow, i.e. on 21st October, 12 matches will be played. Chairman Technical Committee Punjab Basketball Association, Mr Boota Ram Sahota said: “I am glad to note that the best of arrangements are done by the Division of Sports of LPU for the well-conduction of the tournament.” Being an International Referee, Mr Sahota added that he and 16 other members of his team are doing their best for the ongoing of the tournament. Representing the players from Mahatma Jyotiba Phule Rohilkhand University, Bareilly, Zeba Khan revealed all praises for the arrangements made for players’ stay and food at the university. She also uttered high words for the co-ordination & co-operation from the host LPU team. Of the 13 matches the result remained as: LPU won by defeating CSK Palampur by 58/2, JMI Delhi defeated University of Lucknow by 31/28; Punjab Agriculture University Ludhiana defeated DCRUST Murthal by 35/29; Thapar University Patiala defeated NIT Kurukshetra by 25/04; Punjab University Chandigarh defeated Dr. Ram Manohar Lohia Avadh Univ. Faizabad by 85/16. Kumaon University Nainital and NIT Jalandhar got walkover.